The Jabra EXTREME2+ contains all new features including Noise Blackout 3.0 technology, HD Voice, and Voice Guidance which communicates caller ID, battery level and communication status through the headset, as well as set-up and pairing instructions. Experience your own space filled only with your sound. Jabra Supreme is the first Bluetooth mono headset with the latest in audio enhancement technology. This product is New and comes in Open Box Retail Packaging with a one year warranty. Daily Steals has $100 off the Google Pixel 3/ Pixel 3XL refurbished starting at $499.99 with coupon code CHPSKTPXL3. 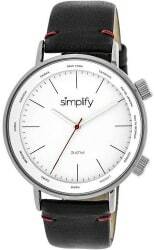 Daily Steals offers the Simplify Unisex The 3300 Leather Band Watch in several colors (Black pictured) for $39.99. Coupon code "DSTIME" cuts that to $29.99. With free shipping, that's the best price we could find by $60. It features a quartz movement, stainless steel case, leather band, and water resistance to 100 feet. Daily Steals offers the Eravino 5.4-oz. 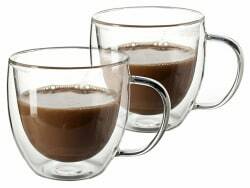 Double-Wall Insulated Coffee/Tea Glass 2-Pack for $14.99. Coupon code "DSERAV2PK" cuts that to $10.99. With free shipping, that's the lowest price we could find by $2. Daily Steals takes up to 80% off sitewide. Plus, coupon code "BF10" cuts an extra 10% off during its Black Friday Sale. Even better, these orders receive free shipping. Save on laptops, apparel, tools, gift sets, and more. Deal ends November 26. Item is brand new in retail packaging. Comes with a 1-year warranty. DailySteals [dailysteals.com] has a 2-Pack TYLT Portable Power Bank (2x5200 mAh) on sale for $11.99 after the code TYLT2PK.